For the past several years online dating scams have become a very common form of the Internet fraud. Reportedly, a lot of them originate from Eastern Europe and Russia. Despite the attempts of the dating online services to protect their members, there are more and more people who fall victim to these con artists. Scammers use different strategies to get you fooled. So how can you detect a Russian dating scam and protect yourself? Quite often scammers use proxy servers to hide their IP address. That’s why the first thing you need to do is check it. If it doesn’t match their claimed place of residence, most likely it’s a scam. They use fake profiles, a lot of fake profiles. Often these pages are operated by the same person. Copy the text of the profile description and search it on the web. If there is more than one profile with the same words, you will know that you are dealing with a fraud. Back in the days, you could assume someone is a scammer if the profile photo was too good to be true. However, now they use photos of real people stolen from different social networks. Carry out your own little investigation. You can use different image search engines to look for the photo on the web. Obviously, if there’s the same photo with the wrong name, it’s a scam. Scammers will try to get your communication off the dating site. They will leave an email address in the mailing or in a profile description. For that matter, look at their page on social networks – every decent person must have one – and pay attention to the number of the friends. It’s highly suspicious if such a great girl has less than twenty friends, and all of those friends also look suspicious. 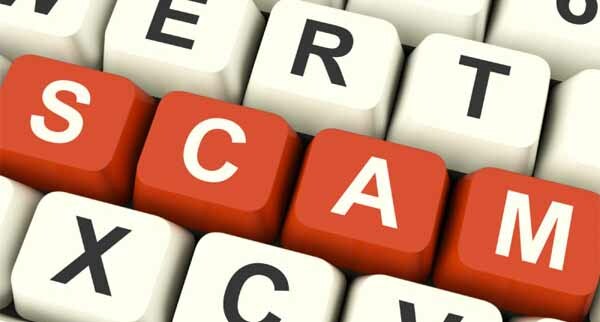 Scammers avoid video call sessions. Why? Because the person writing you emails probably doesn’t look like the one in the profile photo. They can tell you that they don’t have a web camera or money to buy it, or even a computer itself. It’s a thin excuse. Their story is inconsistent. Scammers write so many emails to so many people, that sometimes it’s hard to keep in mind what they told about themselves. Examine closely all the messages – the whole story must be logical and coherent. They gather information to make your psychological profile. Too many personal questions, including your social status, income, career, and previous relationships, are a sure sign of a scam. They will tell you how special you are and that you are the man/woman of their dreams. Let’s be realistic. How can someone fall in love after just one week (even a month) of online dating? It all comes down to money. You will hear about their difficult financial situation and a seriously ill relative who needs the emergency medical treatment. Or they will ask you for money to pay for the flight tickets to finally see you in person. What should you do in this case? Never ever send someone money or give your credit card information. So be on the alert for such scamming strategies. Check and double-check everything. Don’t let the frauds steal your chance to find your love and happiness.